Home Blog Tourism Guide Which is more advantageous: Is it diesel or gasoline? Which is more advantageous: Is it diesel or gasoline? Is it diesel or gasoline? Still one of the questions about trends in recent years is still being discussed. Let's look at this together. Before you buy a car, the question is whether it is the diesel or petrol vehicles that is more advantageous. Diesel vehicles on the car market are more expensive at 10% -20% than gasoline vehicles. 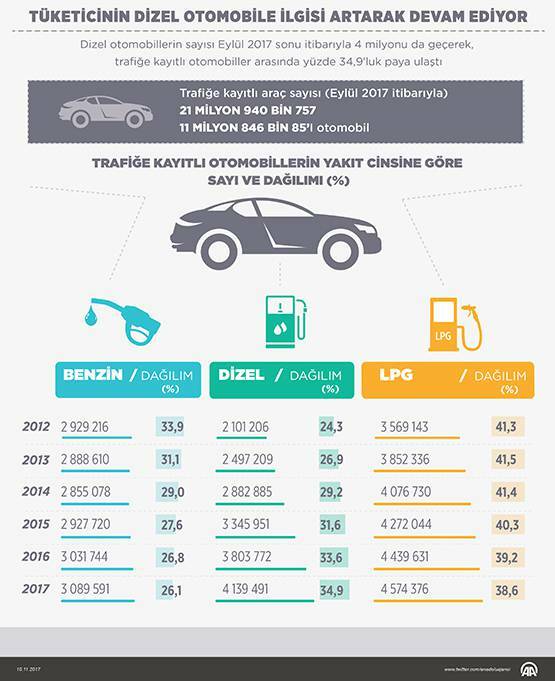 Moreover, the maintenance costs of diesel vehicles are higher. Because diesel-powered vehicles have a higher technology. Periodic maintenance costs for diesel-powered vehicles are higher than those for gasoline vehicles. The cost of reimbursement varies by brand and model. Excessive maintenance costs are not high. Frequent maintenance causes frequent costs to rise. When a car requires 20,000 kilometers of maintenance, this level can go up to 15,000 kilometers. Maintenance costs for a diesel engine are considered. Diesel vehicles can be thought of as fuel gimmicks, according to gasoline vehicles. This is a step ahead of diesel vehicles. High-tech diesel vehicles with a system that reduces fuel to a minimum. It can be demonstrated more successfully. Are you even more unified? It is going to be more convenient for diesel vehicles in this regard. It is known that diesel vehicles are more common in the second hand market. With less value in the market, diesel vehicles with high demand rates can be removed with a higher combined price and more.